Before coming up with a way to help your troubled teen develop health relationships, think about your first romantic experiences. Everything was new…the feelings, thoughts, and of course, activities. It was as if you were transformed to another place. Now that you have that perspective, you can start to conjure up ways to help your troubled teen navigate the tumultuous path of love. Adolescent relationships are most often unhealthy. Adolescents’ lack of social skills and emotional control can make relationships difficult, according to Dr. Furman, a professor of psychology at the University of Denver. The inability to recognize problems in a relationship can make unhealthy relationship even scarier for everyone involved. The Journal of the American Medical Association reports that about 1 in 5 high school girls that have been on a date have become abused physically or sexually. Even when teens aren’t abused, there are other risks. Troubled teens are about six times more likely to be pregnant, nine times to have attempted suicide, four times as likely to use laxative or vomit to lose weight, and five times as likely to use cocaine. What leads to these problems has a lot to do with the parents and family caring for the teens. Connecting with your troubled teen may seem virtually impossible, but it’s important when dating starts. Understanding what is considered healthy and unhealthy in a relationship is key to remain safe during adolescence and beyond. 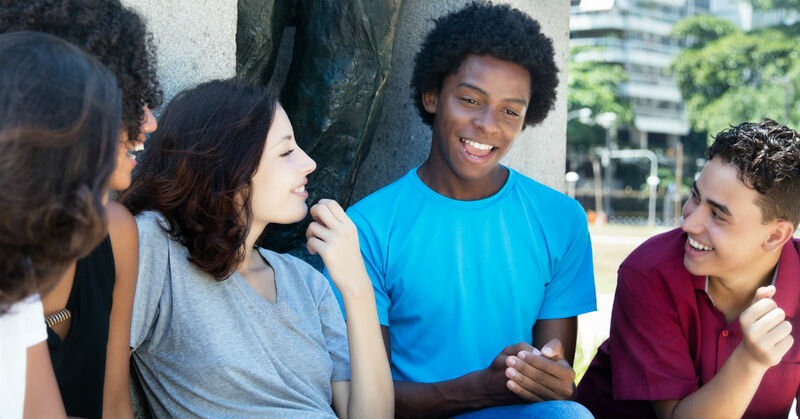 The U.S. Department of Health and Human Services has a helpful guide on how to discuss healthy relationships with teenagers. The guide identifies the parents’ behaviors as the first step in teaching teens about healthy relationships. It’s important that you model what good communication is, so your teen can mimic that in relationships. Engaging in a discussion about what makes a relationship healthy or unhealthy can help clear up any confusion. Have your teen identify examples of bad and good situations between partners. Both people feel respected and valued. Decisions are made by both people. Disagreements are settled with open and honest communication. One person tries to change the other person. One person throws things, yells, and hits during an argument. One person makes fun of the other one making him/her feel bad most of the time. Dating violence should be discussed in depth. The discussion should focus on emotional, physical, and sexual abuse. Identifying what is considered abuse is important, and shouldn’t be taken lightly at all. Dating violence during adolescence is real and dangerous. Beware of it, and do not trust that your teen won’t be the perpetrator of it. Jealousy and possessiveness seems out of control. Points the finger at others whenever something goes wrong. Breaks or damages partner’s things. Wants to make all the decisions in the relationship. Becomes overly obsessed with always knowing the whereabouts of the partner. Making excuses for when his/her partner acts badly. Looks uncomfortable and seems afraid of his/her partner. Unexplained injuries, such as bruises and scrapes appear. Keeping the lines of communication open is the best line of defense for your troubled teen. Exhibiting a healthy relationship, talking about it, and then looking for any signs of unhealthy dating behaviors can protect your teen from getting hurt emotionally, physically, and sexually.